There's a saying 'I've watched her grow up' that people refers to young ones as they watch them grow from little kids to young adults. 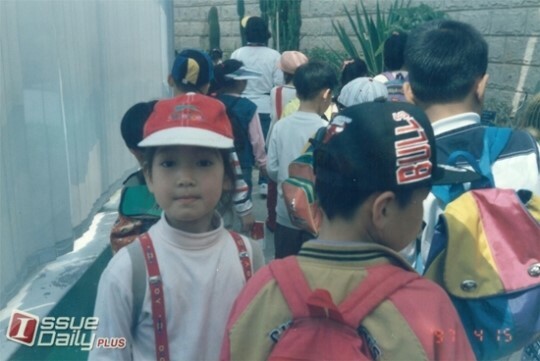 That's the case for actress Park Shinhye, who debuted as a child actor in drama 'Stairway to Heaven' starring Choi Ji-woo. To her, this drama granted her the gift of an extraordinary life. After the series, through her other works 'Goong S', 'You're Beautiful', 'Heartstrings', etc, Park Shinhye has engraved her name in the heartstones of her fans with strength. The year 2013 is an unforgettable year for Park Shinhye, as she will be busier than everyone else starting this year. Movie 'Miracle in Cell No. 7' scored an unprecedented high box office, and in drama 'Flower Boys Next Door' Park Shinhye attracted her audience with the cocooned lifestyle of introvert Go Dok Mi. 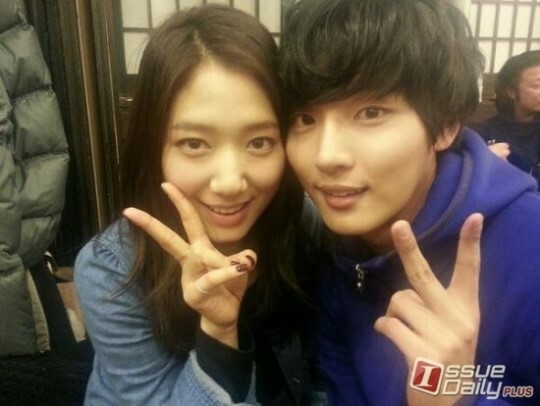 Other than that, Shinhye directly took part in the OST recording of the drama. Her inborn athletic skills are enviable to many. 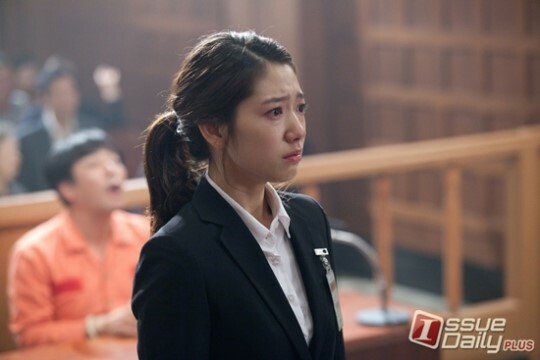 In the following 'Healing Time', actress Park Shinhye will bring us into her story through her soliloquy. This interview is translated by Park Shin Hye International Fanclub (www.shinhye.org) Please do not repost without crediting. Park Shinhye: movie 'Miracle in Cell No.7''s success in box office is because of its ability to grasp hold of the thoughts of the audience, with its story being the most important attribute to its success. To be honest, my part in the movie is very, very small. When I first read the script for the movie, I was filming my short drama 'Don't Worry I'm a Ghost' (KBS 2012), and I felt that story for 'Miracle in Cell No.7' could satisfy my likings, especially as it provides an opportunity for me to act along sanbaes such as Ryoo Seung Ryong. It is a great chance for me to learn. I do not mind playing a small role, because, I think: If I selfishly increase my role's size without considering the movie in general, wouldn't I be ruining the movie? In my memory, the most unforgettable part of my role for the movie is the courthouse scene that I filmed with Ryoo Seung Ryong sanbae. In this scene, many actors of the movie were present to give me a lot of encouragement. It really helped me a lot. My regrets for participating in this movie's filming is that I could not spend more time to visit the filming locations to see the sanbaes act due to my schedule and time constraints. If there is a chance again, I would like to take part in a filming project with all the sanbaes again. Sanbaes, can we please do that? Ryoo Seung Ryong sanbae prepared a birthday present for me which he prepared by himself. I am very grateful to his care towards me. So grateful that i a lost in words. He gave me a mini 5-drawer cabinet, a cushion, scented candles. These items are things that I always use in daily life. I am very touched that he prepared the presents for me by himself. "Being able to know you in this life is my honor. Let's continue this fortune in the days to come. Love you from your Dad" Ryoo Seung Ryong (the actor who plays Shinhye's character's father in 'Miracle in Cell No.7') was the Dad who personally sent a food truck to the cast of 'Flower Boys Next Door' to support me, and when he knew about the news of me being cast in the drama, he called me immediately to congratulate me. He was the Dad who cheered for me at the filming venue, the Dad who complimented me all the time, and the Dad who prepared gifts for me by himself. The job that I want to do most now is to act. For people like me, if I cannot persuade myself (in doing something), I cannot persuade another person to work hard towards a goal. If I did not have this sense of perseverance I wouldn't be able to survive in this industry. For the time and days later on, I will work on things that I am capable of, and things that I really would like to do. 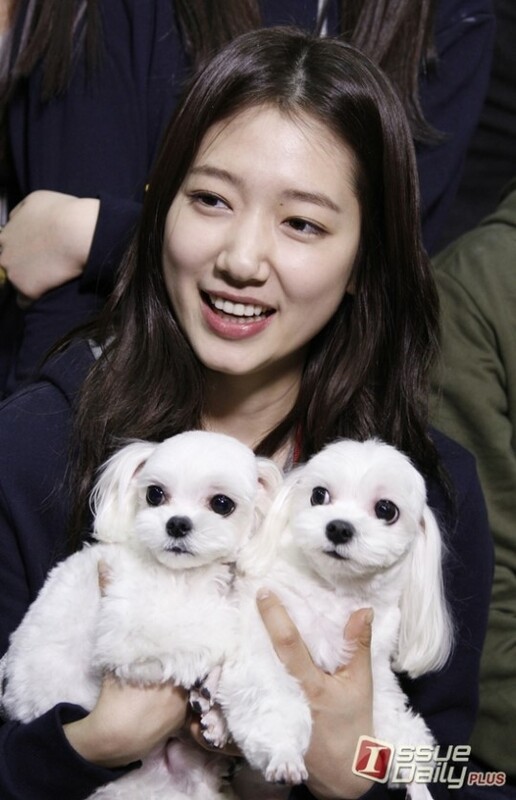 She's undeniably a smart and a kind person..
She is very humble.. <3 Shin Hye... Fighting!!! Shin Hye is really humble and down to earth aside from being talented and naturally beautiful that's why I love her. I'll pray that her star shines the brightest in the entertainment industry and that she'll be safe and healthy always. PSH International Fan Club thank you very much for the Eng. translation. I was really looking forward to it and any news or article of our princess translated in English. Daebak! Keep it up. "I do not mind playing a small role, because, I think: If I selfishly increase my role's size without considering the movie in general, wouldn't I be ruining the movie?" Yes agree, I was quite sad too but when I saw the poster has Yong-gu (Ryoo Seung-ryong), small Ye-seung (Gal So-won) and big Ye-seung (Park Sin-hye) They are all drawing hearts with their arms and hands. What a kind loveliness. Shin Hye will steal people's hearts just by being herself. I wish her good health and happiness all her life.